Home > News > Are You Taking a Strategic Approach to Logistics? There are many components impacting your logistics costs including transportation modes, route optimization, payment terms, packaging impacts, and pricing structures. Our logistics experience tells us that most companies manage this very important and large dollar spend in a tactical (rather than strategic) manner. An example of this is focusing strictly on tariff discounts while ignoring bigger-picture areas such as inbound freight. Multiple people within different departments of an organization often manage logistic elements and make decisions that have significant influence over the ultimate cost to ship or receive a package. These decision points are often managed in silos that are not aware of their overall impact on logistics. Large sums of money are being transferred to your suppliers. Could your company put these dollars to better use while also meeting internal customer service and growth objectives? In some cases, improvements at a significantly lower cost are possible. Uncovering the savings potential for inbound freight requires knowledge of what to ask and where to look. It requires time and diligence to uncover the savings opportunities, which are often quite large. In this example, there is much more to the contract than tariffs. Having knowledge of these key drivers of costs are often overlooked for lack of knowledge. What are the characteristics of what we ship/receive? Where do we ship/receive it? How do we ship/receive it? Why do we ship/receive it the way we do? 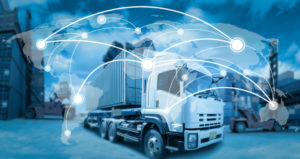 Answering these questions, communicating and cooperating across silos that influence freight will uncover many opportunities for significant, quantifiable hard cash savings. For example, sales or marketing may have no knowledge that a delay of one day for a delivery can save the company a significant amount of money annually. They might be simply unaware of this added cost. This is often the result of not communicating outside of silos. Understand how each decision impacts costs and be sure to communicate this effectively across your logistic silos. Honestly answer the four questions and you’ll be surprised by what you learn, how you can apply it to your entire organization, and how much you can save due to your actions. It’s called Holistic Logistics.